San-J is a brewer of premium Tamari Soy Sauce. Since 1804, our Tamari brewing mastery has been passed down through generations. San-J president, Takashi Sato, is an eighth-generation member of the founding family- faithfully following the exacting standards for brewing the finest Tamari. 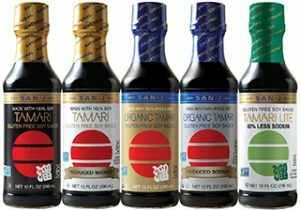 San-J has been a trusted soy sauce brand in the natural market and we are proud to be the first certified gluten-free soy sauce manufacturer in the U.S.A.
San-J Tamari Gluten Free Soy Sauce is made with 100% soy and no wheat for a richer, smoother taste. It is naturally brewed up to six months with no artificial flavors, colors, or preservatives added. It is certified gluten-free, certified kosher, and Non-GMO Project verified. Organic and reduced sodium varieties are also available. 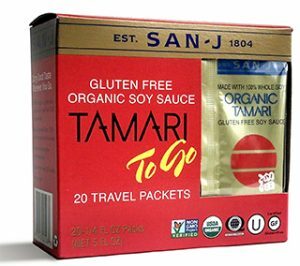 In response to customer requests, our Organic Gluten Free Tamari now comes in a Travel Pack for gluten-free on the go. Create delicious Asian meals at home easily with San-J Gluten Free Asian Cooking Sauces. Each sauce is made with San-J Tamari Gluten Free Soy Sauce. They are certified gluten-free, kosher, Non-GMO Project verified, and made with no artificial flavors, colors, or preservatives added. Also, all sauces are great for stir-frying, dipping, marinating, glazing, and grilling. 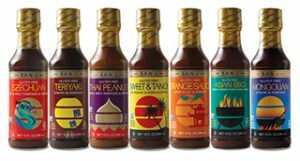 Available in seven flavors – Teriyaki, Thai Peanut, Szechuan, Sweet & Tangy, Asian BBQ, Orange Sauce, and Mongolian. 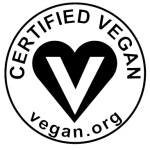 All San-J gluten free products are certified gluten free by the Gluten Free Certification Organization. We understand the sensitive nature that exists for those who suffer from gluten intolerance or celiac disease. Not only do we test each batch of our gluten-free products for the presence of gluten, but samples are periodically sent to an outside laboratory as means of confirming the reliability of our tests. The FDA regulation sets a threshold for gluten of less than 20 parts per million in foods that are labeled “gluten-free,” “no gluten,” “free of gluten,” and “without gluten.” San-J gluten free products are certified gluten free by the Gluten Free Certification Organization and we follow their guidelines of less than 10 ppm. All San-J Tamari Soy Sauces are tested at less than 5ppm. Visit www.san-j.com for more information about San-J’s certified gluten-free products, gluten-free recipes, and coupons. Follow us on Facebook, Twitter, and Pinterest for coupons and giveaways.